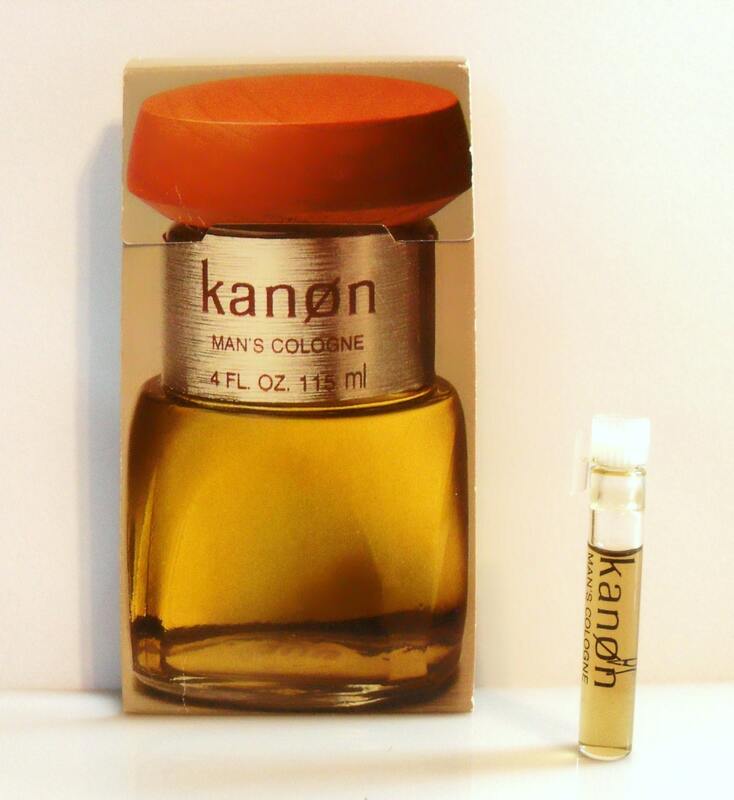 Vintage 1980s Kanon by Scannon 0.03 oz Cologne Splash Manufacturer's Sample Vial on Card. The vial is about 80% full - please see picture for actual fill line. The cologne is old and no longer fresh as it once was. Launched in 1985, by Scannon, a division of Mennen Company. It is classified as a sweet oriental fragrance for men. It begins with a fresh citrusy top, followed by a woody floral heart, resting on a sweet, powdery, mossy base. This fragrance has been reformulated in recent years, but this listing is for the original formula. I am cleaning out my sample boxes and selling many of my vintage, hard to find and discontinued perfume samples. Most of these are manufacturer's samples and may have the words "Not for Sale" on the card as these were promotional items from the manufacturer at the time of release and were not intended to be sold by the original retailers. These fragrances are old and vintage, they are most likely not fresh as they once were and their scent most likely has changed over time. If the sample is carded, it may show signs of wear and tear from storage. Please see my policies on vintage fragrances before purchasing as I do not offer returns or refunds. Great to discover samples that I’ve not found in the UK. Plus Grace packaged them very securely so no damage occurred in transit. As well as some nice extras were thrown in for good measure.